This one is perfect Paleo, Low-Carb meal options with spicy chicken. 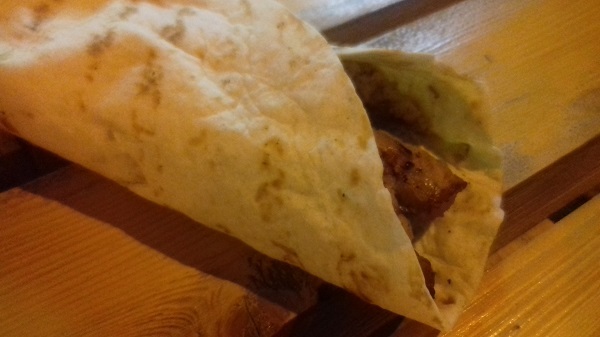 Amazing test of tortillas packet with chicken kebabs will become your favorite lunch to go. To marinate the chicken, mix together the ground spices, lemon juice, garlic and salt. Add olive oil and mix till well combined. Pour the marinade over the cubed chicken, massage it in, cover and leave aside. Mix the Greek yogurt, garlic, lemon juice, salt and pepper well. Thread the chicken with bamboo skewers and place on a hot pan to cook for 2-3 minutes on each side. Place roasted chicken on the tortillas. Drizzle some Yogurt Sauce over it, roll and serve immediately.